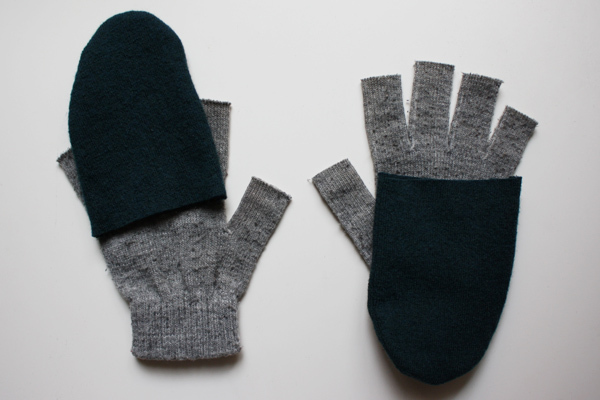 i converted a pair of basic one dollar gloves into a cute pair of convertible mittens! but can also use my fingers and don't feel like a clumsy fool when i need to use my phone... haha! 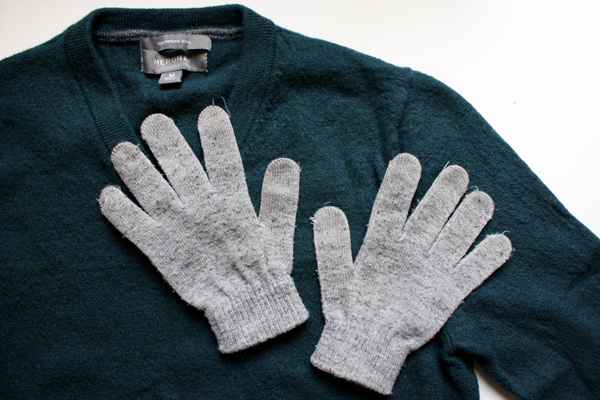 - a poor old sweater in need of a fresh start, some fuzzy fleece, felt, or anything warm! 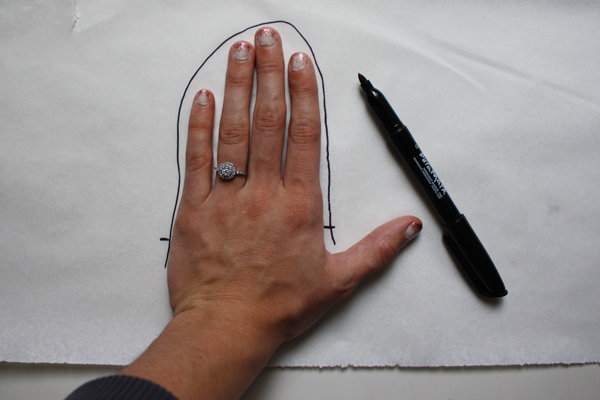 first, trace your fingers on a piece of paper so you know how big to make your mitten top. 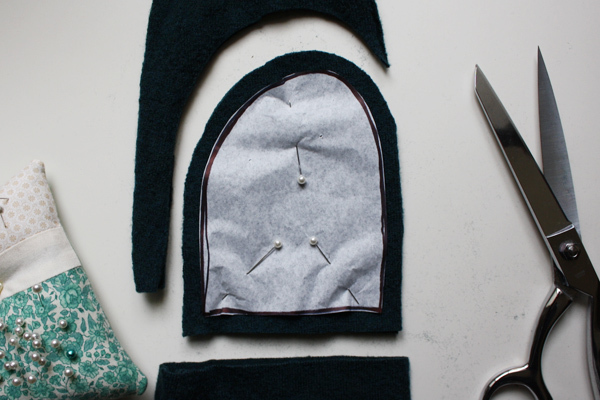 then cut your mitten tops out of your fabric, cutting four pieces total, two for each hand. 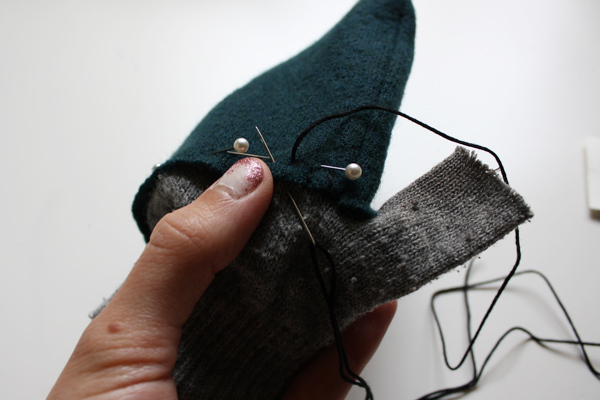 sew your mitten tops together, right sides together, then fold them right side out. 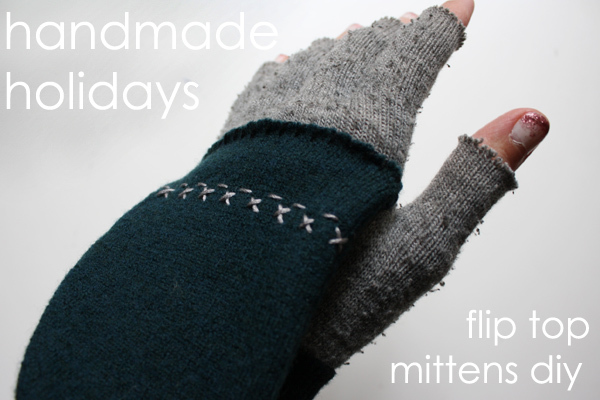 cut the finger tips off your gloves and decide where you want to place your mitten tops. but i won't be complaining when my fingers are warm! 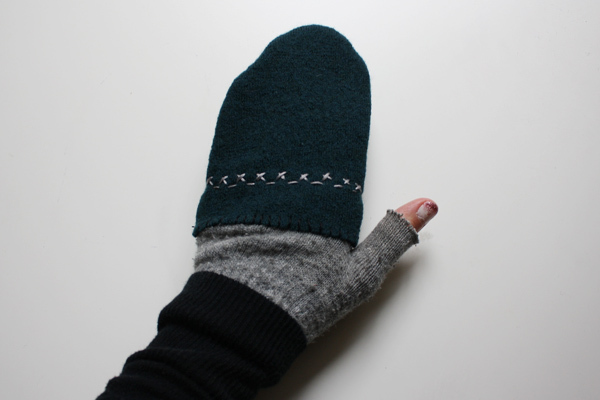 stitch the mitten top onto the glove, on only the backside of the glove, using a whipstitch. i then decided to whipstitch the other side of the mitten top also, just to keep it from unraveling. my sparkly fingers and i are ready now for all kinds of wintry adventures! love love love these! will be making them stat! Such a great idea. Those little glove are never long enough for my hands. What a great way to fix this problem. What a great way to recycle old, bobbly knits! So cute! 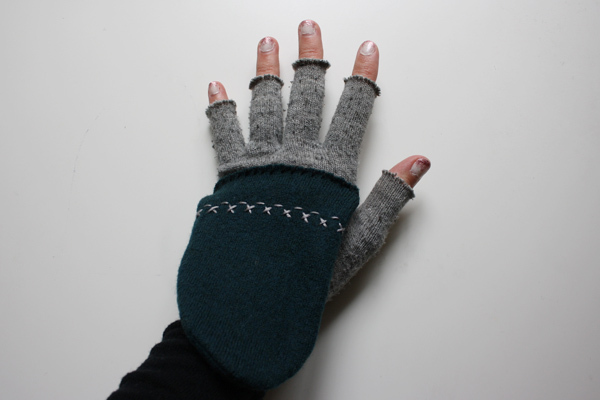 I need to make me some tracting gloves!